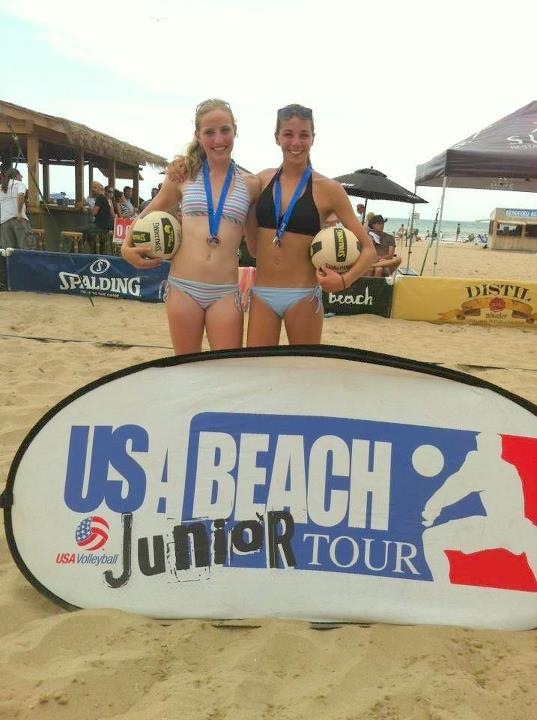 Aptos resident Jenna Belton and Palo Alto’s Kirsten Mead combined forces and went on a nine-match winning streak to take the 16-and-under open title in the USA Beach Volleyball Junior Tour Championship at Bradford Beach in Milwaukee over the weekend. They kept momentum going off a recent victory in a California Beach Volleyball Association tournament in Santa Barabara, where they qualified for the Cal Cup Championship scheduled for Manhatten Beach later this summer. They defeated the duo of Amber Davis and Julia Lewkowski in the final at Bradford Beach for the win. Scores were unavailable. Santa Cruz resident and pro cyclist Devon Gorry placed 20th in the women’s pro Cat 1/2 division of the Exergy Twilight Crit in Boise, Idaho, on Saturday. Gorry crossed the finish line in 57 minutes, according to results on USACycling.com, while winner Kristin McGrath of Boise [Exergy Twenty12] won in 45 minutes flat. Gorry rides for Now and Novartis for MS.
San Francisco resident Rand Miller, a pro cyclist with the Cal Giant Berry Farms/Specialized team, wasn’t about to let the win go two years in a row. 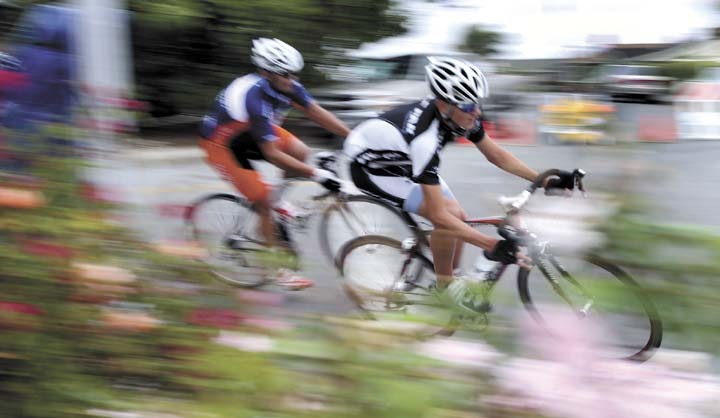 After finishing second to Steve Reaney in 2011, Miller pedaled to victory in the men’s pro Cat 1/2 division of the 34th annual Watsonville Criterium on Saturday. Miller was followed by Oakland’s John Wilk [Webcor/Alto Velo], and San Francisco’s Rainier Schaefer [Team Mike’s Bikes] in third place. The top Santa Cruz County finisher was teen Matt Schaupp, of Watsonville, who finished fourth. Schaupp, 17, rides for the Ritte Elite U23 Development Team. Other Santa Cruz County riders to make the top five of their divisions were as follows: Santa Cruz’s Morgan Raines [unattached] was second in the men’s masters Cat 4 35-and-over age division and Santa Cruz’s Kimberly Sperling [RED Racing] was third in the women’s Cat 1/2/3/4 division. Results in this report are from USACycling.com. Two junior racers from Santa Cruz County earned silver, and a handful of other mountain bikers secured top-10 finishes, at the 2012 USA Cycling MTB Cross Country Nationals in Sun Valley, Idaho, on June 5-8. On the opening day of racing Thursday, Capitola’s Steffen Andersen finished runner-up in the junior men’s Cat 3 15-18 age division, crossing the finish line of the cross country race in 1:51:03. Daniel Riley of Park City, Utah, won in 1:46:16. And on the closing day Sunday, Santa Cruz’s Tobin Ortenblad [Ritte Elite U23 Development Team] finished runner-up to another Park City product, Keegan Swenson, in short track cross country action. Ortenblad crossed the finish line of the junior men’s Cat 1 15-18 age division race in 31:42.7, and Swenson clocked in at 31:19.4. Ortenblad also earned a sixth-place finish in Sunday’s junior men’s 18-and-under Super-D for what was his second top-10 finish at nationals following a DNF on Friday. He had a time of 23:06.6. Swenson also won that race, crossing the finish line in 21:57.1. Ortenblad wasn’t the only Santa Cruz County product to secure two top-10 finishes. Soquel’s Jacob Albrecht [Whole Athlete] also managed the feat with two sixth-place finishes. One was in the junior men’s Cat 1 15-18 age division race, and the other was in the junior men’s Cat 1 17-18 age division race Friday, where he finished in 1:20:56. Swenson [Cannondale Factory Racing] again won, taking that race in 1:17:08. Santa Cruz’s Loren Gregg placed seventh in the women’s under-23 cross country race[1:44:05]. Fairfax’s Lauren Catlin [Durango Devo] won in 1:32:48. Capitola’s Richard Latorraca [unattached] placed 10th in the master men’s 60-64 cross country race, which was won by Montana Velo’s Randy Beckner of Helena, Mont., in 1:52:50. Aptos’ Ron Riley [Bike Station Aptos] placed seventh in the master men’s 77-and-over cross country race [3:12:40]. Sun Valley’s Hans Muehlegger [Durance-Colnago] won in 2:10:39. Results included in this report are from USACycling.com. All right! My esteemed colleagues over in the sports department of the Santa Cruz Sentinel did a quick write-up of the Santa Cruz Half Marathon and 10k, but I wanted to post the top 10 lists and some other highlights here. I was actually out at the race doing a fun little video for the Sentinel’s website (I was the one walking around in a snow jacket — man, it was cold out there), and I was able to catch up with 10k winner Nikia Brautovich, who said she considers this 10k her first, since she’d only previously done one when she was a kid. Anyway, here’s the quick interview we did on Cowell Beach just past the finish line. I also posted a few of my favorite photos to Flickr. More results can be found on the Buzzworld Productions site over here. 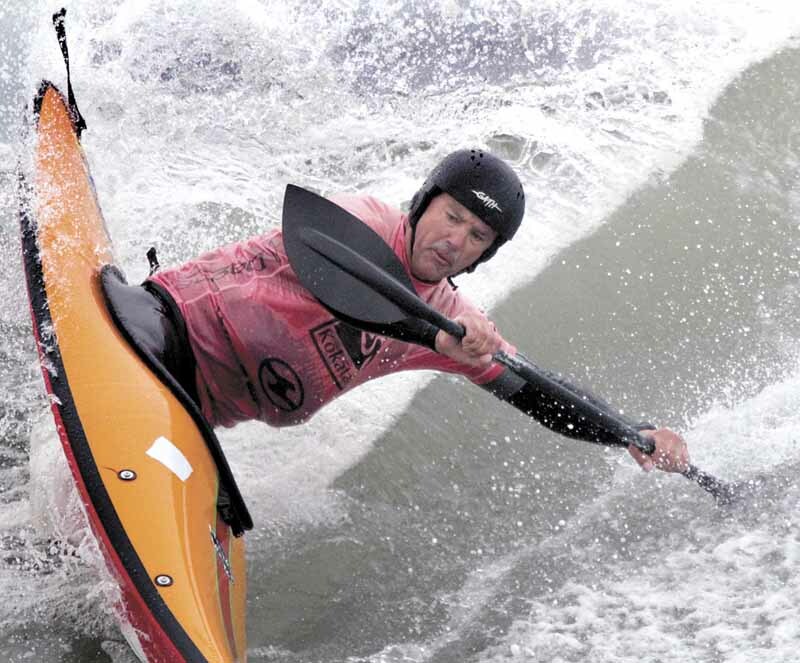 Santa Cruz PaddleFest results are in! My colleagues here at the Santa Cruz Sentinel have already written about the action at the 26th annual Santa Cruz PaddleFest, which saw some of the biggest surf kayak talent in the world attack the waves at Steamer Lane this past weekend, but I thought I’d put the results up here, in case anyone is interested. Looking for something else? Check out the event’s website for additional information.